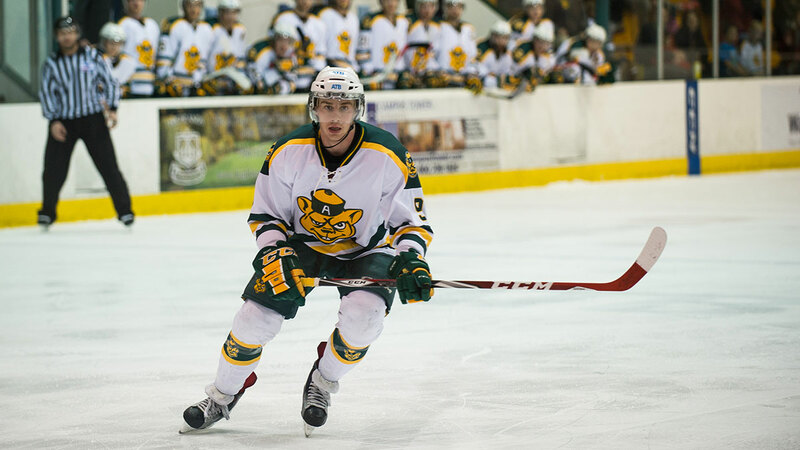 The Golden Bears hockey team cruised to the Canada West finals for the fourth year in a row with a two-game sweep over the Mount Royal Cougars this weekend. But for the Pandas, their playoff dream came to abrupt halt after dropping an overtime heartbreaker to the Manitoba Bisons on Sunday. The Pandas came into the playoffs with the best record in Canada West, and as a result, were given an automatic bye to the semifinals this weekend. 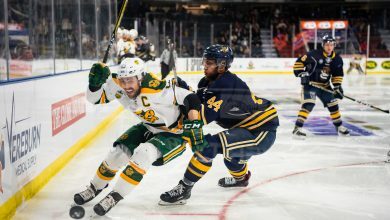 They faced the fifth placed Bisons, who were fresh off a series win against the Saskatchewan Huskies that saw them win games two and three on the road while on the brink of elimination. 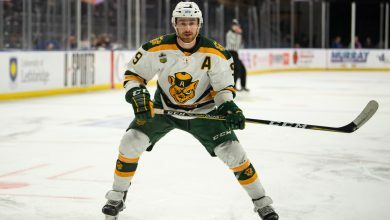 With rest and home ice advantage on their side, it seemed inevitable that the Pandas would make easy work of the Bisons en route to their second-consecutive finals appearance. The Bisons took the first of the three-game series on Friday with a commanding 3-0 win. The Pandas battled back on Saturday afternoon, evening the series by edging out a 2-1 victory. The two teams saved the best for last, though, as Sunday’s game saw the teams exchange goals throughout the first two periods before the Pandas eventually tied the game with just 14 seconds to go in regulation. Unfortunately for them, that wasn’t enough, as the Bisons scored four minutes into the first overtime period, putting an end to the Pandas season. Thank you again to all the fans, students and supporters that made Clare Drake Arena the best place to play in the CIS again this year! The Bears, on the other hand, made easy work Mount Royal. On Friday, the Bears hammered the Cougars, who were coming off a two-game sweep of the UBC Thunderbirds in the quarterfinals, earning an easy 7-1 victory. Mount Royal made it slightly more interesting on Saturday night, grabbing a 3-1 lead in the second period, but the Bears pulled it together, scoring four unanswered goals to win the game 5-3. The Bears will now hit the road to play the Saskatchewan Huskies, who finished the regular season with the best record in the conference, next weekend with a shot at the Canada West Championship and a trip to CIS Nationals on the line.